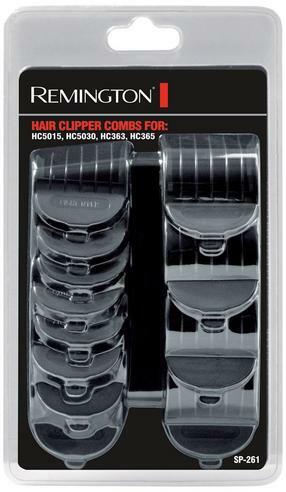 A complete set of comb attachments of varying lengths for different styles. Remington genuine part number - SP 261 A complete set of comb attachments of varying lengths for different styles Fits the following models HC5015, HC5030, HC363 & HC365. HC5015, HC5030, HC363 & HC365. Fits model: HC5015, HC5030, HC363 & HC365.